There are some marketers that have been in this game a long, long time. 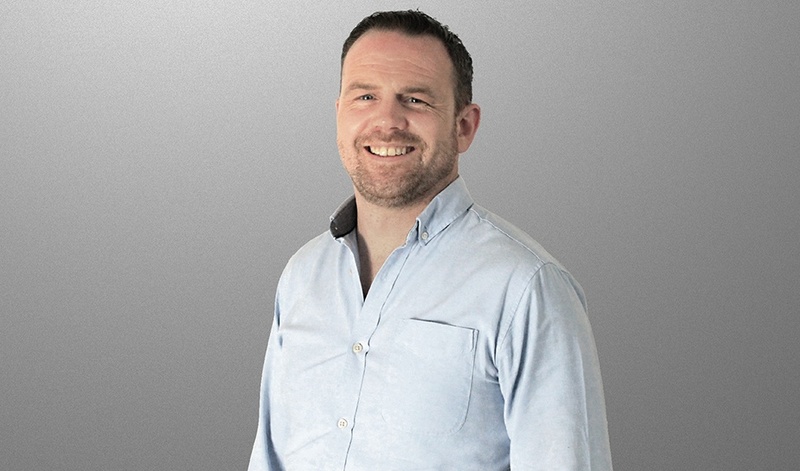 Take for example, our veteran Account Director in Dublin, Andrew Boland. This guy has been on both sides of the table: he's spent 7 years agency-side working on brands like Guinness, Lexus, Coca-Cola and Danone. And he's been client-side, spending 4 years at Telefonica O2 and Three. He even spent 3 years marketing a psychic phone line (pfft, who hasn't?) across the US, Canada & the UK. He might not be the oldest marketer out there - but he's certainly one of the most seasoned (plus he can probably see into the future, and that has to count for something). And when he's not using his myriad skills and experience to make our Irish clients oh-so-happy, he's chilling out playing football (American-style. Gasp! ), taking epic photographs and spending time with his family. And calling psychic phone lines. OK, maybe not the last one. We wanted to find out more about what makes Andrew tick - so we asked him 5 super important questions. 1) What campaign in your career are you most proud to have worked on? It would have to be Arthur’s Day 2009 celebrating 250 years of Guinness. As a red-blooded Irishman, getting to work on Guinness was an honour and being able to work on a milestone like the 250th anniversary of such an iconic brand was an absolute privilege. Probably Arthur Guinness. I grew up in his hometown and having worked on Guinness for 4 years, I’d love to know what he thinks of how his name and brand have evolved over the years, where he thought it would go and how different it is from his original vision. Peppa Pig. Seriously, although it’s not by choice, Ruby, my two-year-old daughter is a huge fan. Why is it bingeable? I. Have. No. Idea. But she seems to like it. Coffee by day and craft beer by night. Coffee for the same reason everyone else drinks it: it gets me through the day. I love trying out new craft beers from around the world, Founders All Day IPA being a particular favourite! Attend a New York Giants NFL Game. Having watched the NFL for years, it's one I hope to achieve over the coming years.